Indicolite 5328 Bicone Swarovski Crystal Beads 3mm. 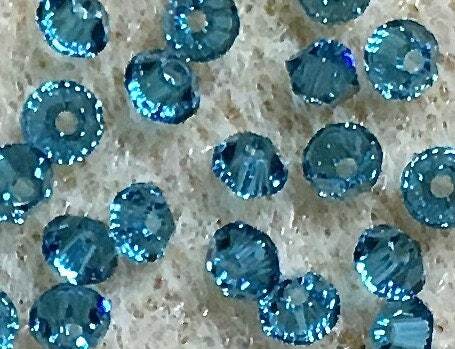 Bag of 24 Indicolite blue 5328 bicone shaped Swarovski crystals measuring 3mm. Lovely color; will order more; arrived promptly.